A Hanoi-sanctioned gas drilling operation by Spanish company Repsol has ended, reportedly following threats from China to target Vietnamese bases in the South China Sea. The gas field’s discovery had become public knowledge just days earlier, BBC noted in a Monday report. 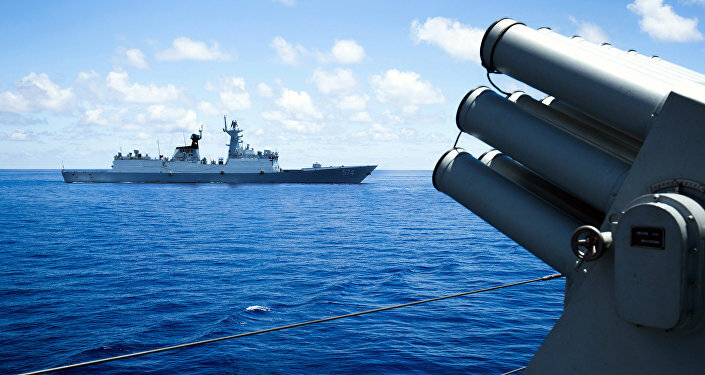 Beijing reportedly threatened the Hanoi government that Vietnamese bases in the Spratly Islands would become the target of People’s Liberation Army forces, according to a source speaking to the BBC, if the gas exploration expedition was not called off immediately. "On July 15, well-informed sources in Hanoi privately reported that Vietnam directed a subsidiary of Spain’s Repsol to suspend oil drilling in Block 136-03 in the South China Sea," The Diplomat reported Monday, adding, "nine days later a report by the BBC’s Bill Hayton finally confirmed this." The waters under dispute had been leased by Vietnam to Repsol subsidiary Talisman-Vietnam, while officials in China, which also claims the area, had leased rights to explore part of the area to another firm. The Diplomat report added that Chinese Gen. Fan Changlong traveled to Madrid in June where he brought up Repsol’s oil and gas exploration. Following the meeting, Fan hopped on a plane to Hanoi, where he requested the Vietnamese government to stop drilling. Vietnamese officials retorted, on the grounds that Vietnam has sovereignty over the Exclusive Economic Zones where Block 136-03 is located. Repsol invested approximately $300 million in making the oil field commercially viable, an analyst told the BBC. Thus, observers were surprised Vietnam called off the oil expedition, but a "diplomatic source" within Vietnam’s government verified to the BBC that Repsol had backed off. The US Geological Survey estimates that the South China Sea "may contain anywhere between 5 and 22 billion barrels of oil and between 70 and 290 trillion cubic feet of gas in as-yet undiscovered resources." "Undiscovered resources could be greater" than USGS’s forecasts, the US Energy Information Administration reported. "The Chinese National Offshore Oil Company estimated the area holds around 125 billion barrels of oil and 500 trillion cubic feet of natural gas in undiscovered resources," according to EIA’s research. These figures have been excluded from reserve estimates "because it is unclear how economically feasible it would be to extract them," EIA noted.